Energy-hungry Mages are the most likely culprit. They travel toward a single location from every corner of the continent. Fueled by the two suns, each Mage holds the power of an element: air, earth, fire, metal, water, or ether. 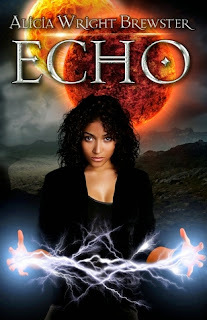 They harness their powers to draw energy from the most readily available resource: humans.Ashara has been assigned to the Ethereal task force, made up of human ether manipulators and directed by Loken, a young man with whom she has a complicated past. Loken and Ashara bond over a common goal: to stop the Mages from occupying their home and gaining more energy than they can contain. But soon, they begin to suspect that the future of the world may depend on Ashara's death. This sci-fi thrill ride is non stop action with its elements of time travel, characters with awesome super powers, and a fascinating "Second Earth" type planet. There is a good combination of dystopian apocalyptic action combined with an element of romance amidst the chaos. The main character Ashra is a very believeable character and acts as you would expect a young person thrown into an "end of days" situation would. She is a chosen one, and does her duties, but struggles with her own fears while in the action of the end of the world. One thing that did bother me about her charwacter was the 180 that she pulled with her personality. I found it odd that earlier on, she was very close to her family and respected them, then later on completely distrguarded her promise to them to not be reckless. All in all, this is a good read for those loving apocalypse action stories with a high body count. Many characters die, as would be expected when waging a war to save a planet from sudden doom, but you will still enjoy the adventure along the way.